Polar Electro UK have introduced a range of new look heart rate monitors that will help complete any workout experience in style. By combining attractive looks with their most innovative features, Polar have created their popular range of fitness monitors in fresh and exciting new colours. Dispelling the myth that heart rate monitors are only for elite athletes, Polar’s impressive looking monitors have been developed to allow all exercisers to train in style and at a heart rate that is beneficial and effective to them and their personal needs. Reinforcing their commitment to personalised training, Polar’s new range of F4, F6 and F11 exercise motivators will not only assist but also compliment a workout. By incorporating their trademark features with attractive new looks, Polar have developed their fitness monitors in 10 new vibrant colours. As the ultimate training partner for anyone challenging themselves to new fitness levels or working on weight loss goals, these new look monitors will enhance workout effectiveness and improve training results, accented with cool design. Including features for planning, monitoring and analyzing your workout, Polar’s fitness monitors are one of the most effective motivational tools to own. Recording and reading the instant and accurate feedback on the calories being burnt, how the body is responding to exercise and the intensity of the training, is the best way to keep you going. From one glance at the stylish wrist unit users will know if they are burning fat or building stamina through their tailored cardio workout programme. Available now in attractive new colours including: electrifying Pink Fizz, Red Fire, Blue Glow, Green Tea and Blue Gold, these innovative monitors will surely help to ensure exercisers achieve their fitness goals. 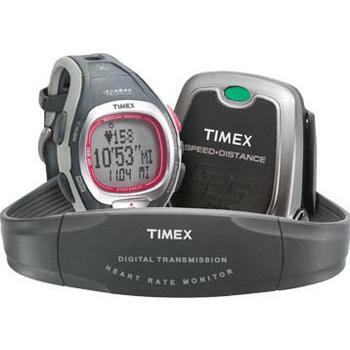 The new Bodylink® System from Timex is the total package when it comes to helping you achieve your training goals. Regardless of whether you’re working to become fitter or training for a particular target time, the Timex Bodylink® System can help you achieve your goal. Improvements on the first generation Bodylink® System include four linked interval timers, which can be used in conjunction with heart rate or just as a timing device. Additionally, the new 3D GPS unit is smaller and lighter, suitable for all types of weather, built-up and wooded areas. The predictive finish timer allows you to train and compete at the correct pace for your target time. The unit is constantly updating indicating whether you should speed up or slow down. With the summary mode the Bodylink® System allows you to review altitude, speed, distance and heart rate performance data at end of each workout. Whilst exercising the 3Line LCD displays Speed, Heart Rate, Lap Pace, Distance and Ascent Rate in various customisable formats. The Timex Bodylink® System offers athletes and fitness enthusiasts the ability to track, store and analyse several key indicators of personal performance. Using the very latest in digital technology, the Bodylink® System is a network of up to 4 devices worn on the body that act together as single information and sport monitoring system. With the purchase of the Data Recorder 2 (accessory), the Timex Trainer software automatically uploads and logs workout data, generates graphs and calculates summaries. Sports training in the modern world just received a boost… of bass. Timex has unveiled the iControl ™ watch, a functionally advanced sports watch that also serves as a wireless operating device for Apple’s iPod. The newest addition of Timex’s Ironman*, the iControl wirelessly syncs with a user’s iPod for convenient music control during any activity. Equipment designed to work with a body in motion, iControl is sleek, light-weight and water-resistant. Garmin has launched the Edge 705 and Edge 605 – the latest innovations in the popular line of integrated personal training systems for recreational and advanced cyclists. The Edge 705 and Edge 605 will be available in December and provide mapping capabilities, street navigation and a 2.2” colour display in addition to tracking vertical profiles, climb and descent, altitude, speed, distance, and time. The Edge 705 represents several breakthroughs in cycling technology, including SRM compatibility and wireless unit-to-unit connectivity. Through collaborative efforts with SRM — a pioneer in mobile power diagnostics for bicycles — Garmin gives cyclists the opportunity to monitor GPS position, power, heart rate, speed, cadence, altitude and gradient on the same display. Garmin has this week announced the launch of Forerunner 50 – a sleek, affordable gadget with intelligent technology to help runners and walkers track their workouts, automatically store their data and help them reach their personal fitness goals. With the IAAF World Championships underway in Osaka, Polar Electro (UK) Ltd can claim to be at the heart of UK Athletics. Polar have made a significant investment in the sport by supplying 100 of their technologically advanced heart rate monitors to the UK’s leading athletes and coaches for the 2007 Championships. 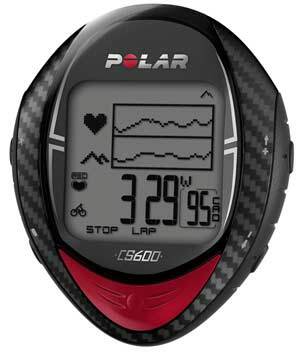 There’s no doubt that Polar Electro is one of the world’s leading manufacturers of heart rate monitoring, registering and evaluation equipment. They have invested heavily to produce innovative products that combine a deep understanding of the human body and the environment. The use of this advanced technology allows coaches to accurately monitor the athlete during their training sessions. Coaches can download the results to their computer and check the performance of their athlete, thus making sure that they get the best from their training sessions. However, you don’t have to be an elite athlete to use a heart rate monitor or get the benefits from wearing one. A heart rate monitor can keep you focused and help you get the maximum benefit from your workouts within the time you have available. 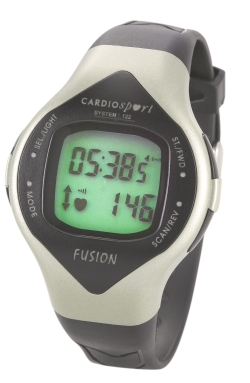 At fitness-etc we believe that it’s important to monitor your heart rate while exercising. Your heart is a reliable personal indicator of the intensity of your workout and knowing the intensity of your exercise can help you to maximize each session. Polar Electro and adidas have formed a partnership that will introduce the world’s first completely integrated training system*. Called “adidas – Polar Co-operation”, it integrates Polar heart rate, speed and distance monitoring equipment into adidas apparel and footwear. The integration simplifies use and increases comfort, allowing the products to become part of the athlete. 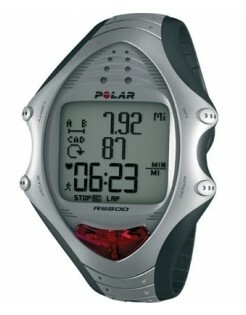 Polar Electro have unveiled their most innovative and advanced heart rate monitor to date. Combining the latest running measurement technology with their pioneering heart rate monitoring expertise, the elite-level RS800sd is the flagship of Polar’s latest generation of running computers. Polar consulted thousands of athletes and coaches from around the world during its development, ensuring that the wrist unit is both stylish and functional, and provides the perfect combination of features to set a new standard for endurance athletes and runners. Polar have unveiled its pioneering new cycling system, the Polar CS600. It’s been developed to meet the demands of serious performance-based riders. This new system allows cyclists and their coaches to plan their training, measure and record their performance and comprehensively analyse the results to help push themselves to their limits and beyond. It took 4 years in development and the CS600 delivers accurate information on the body’s performance, cycling technique and environmental data. It surely provides the most complete overview of cycling performance - combining time, speed, and distance, altitude, inclination and cadence measurements.